Interfaith, multifaith, coexist in peace...there are many paths to the same destination. The World Peace medallion is an original design, and was created to promote world peace, love, spirituality, awareness, and unity. 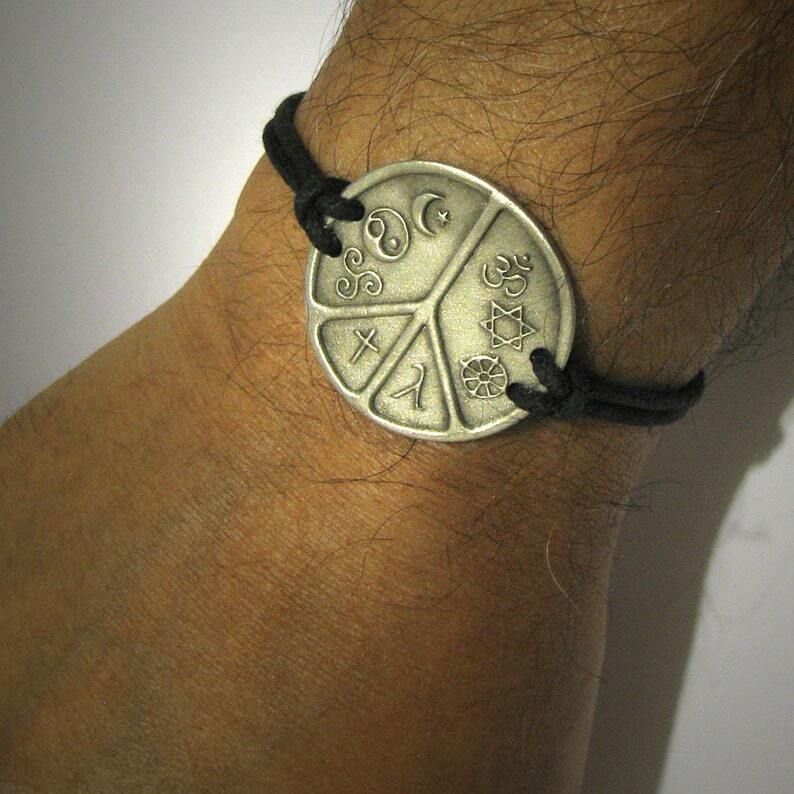 Symbols from top right: Hindu, Jewish, Buddhist, Gay/Lesbian, Christian, Pagan, Yin Yang, and Islam. *It is handcrafted in fine pewter with an oxidized satin finish, and 2mm thick waxed cotton cord with a button/loop closure, and locking bead. It is easily ADJUSTABLE TO ANY SIZE WRIST by simply adjusting the knots, and cutting off the excess cord. Size: 1.25" in diameter, approx 3mm thick. Signed on the back. Shipped in a craft jewelry box ready for gifting. Please view my shop policies, and feel free to message me with any questions you may have about this item.